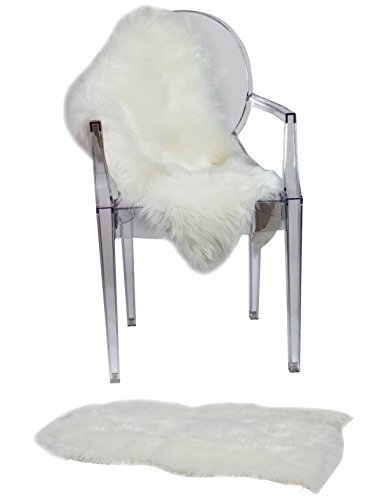 Every apartment deserves at least one very special piece of furnishing that is unexpected and fun. 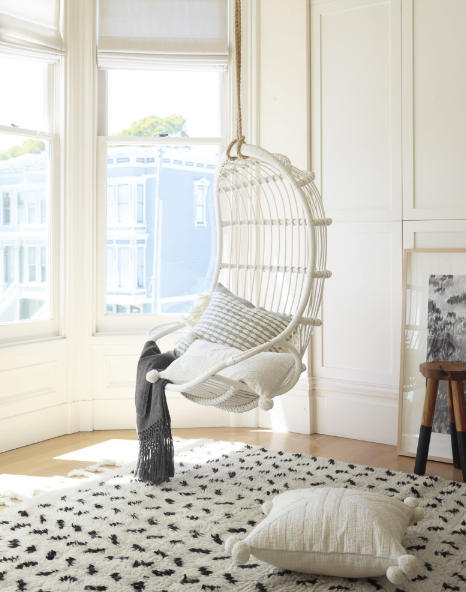 Having a swing in the apartment gives the edge of thinking outside of the "decorating box." 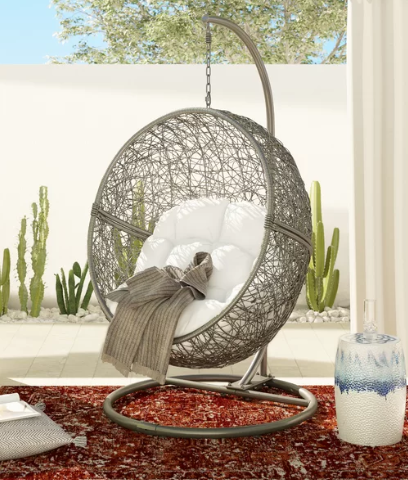 Why not just dump the wing chair, get a swing. If it will be hung from the ceiling, professional assistance should be sought. Know the maximum weight the swing can hold. Most importantly, how will repairs be made to the ceiling should you decide to move out of the apartment. 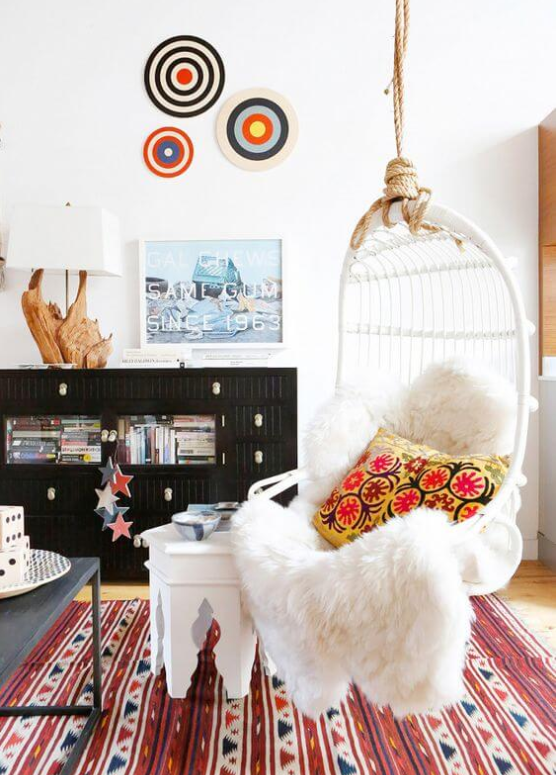 This style requires less floor space and offers visual "freedom." That is, it seems to hang in the air. For a swing that will hang from a floor stand, the most important consideration is how much space will it "eat up." Just be sure to carefully measure your available space and compare that to the dimensions of the stand. This style is easy to install. 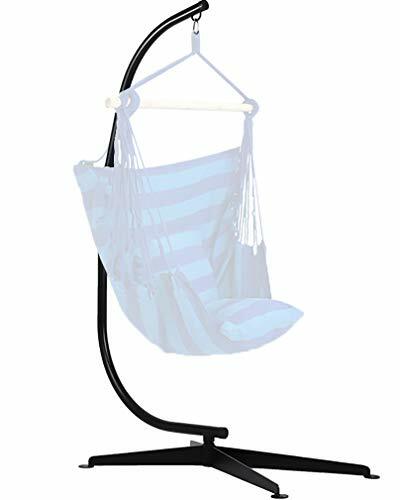 It's a mobile; thus, it can be easily moved around the apartment or on the balcony. And of course, it can be easily moved to a new apartment. 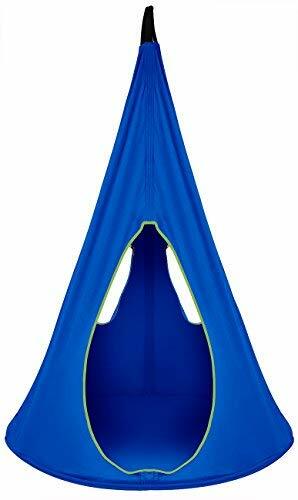 Bases for most pod swings can be purchased separately. So don’t be afraid to purchase a pod swing you love. 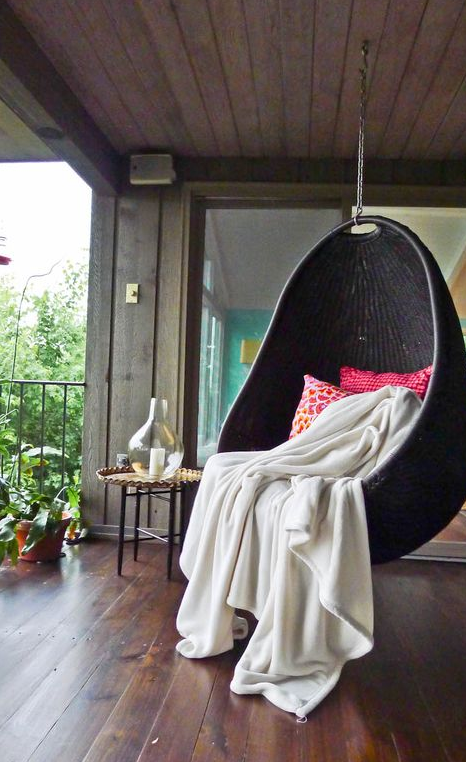 In the above example, there is the pod swing hanging on a stand. Note how the cushions offer comfort, color, and texture. The circular stand on the bottom appears to take up little floor space. 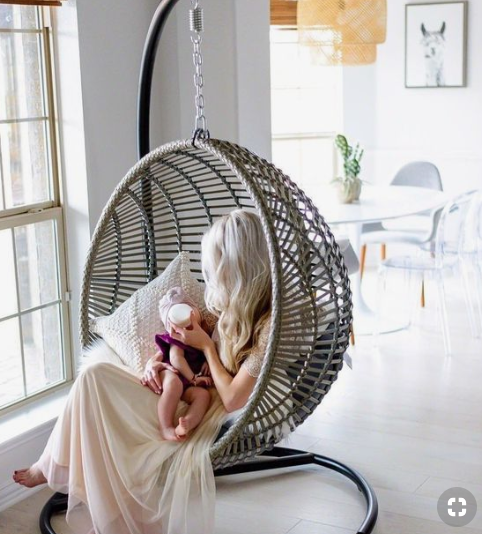 Where to put a pod swing? Below are examples of just a few places from where to purchase free-standing pod swings. 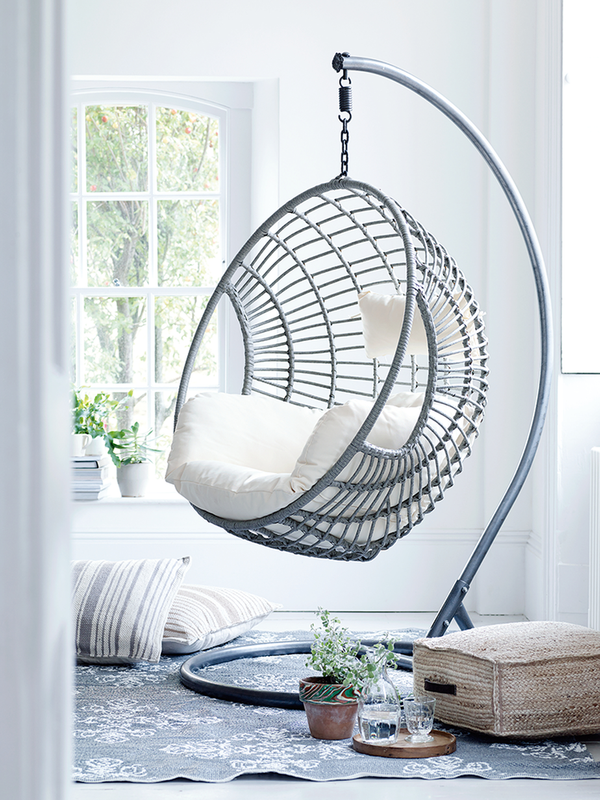 Many of these home decor retail stores offer several design types, as well as pod swings that seat two. 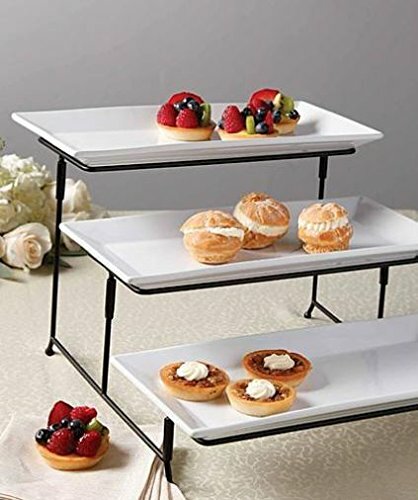 Bases can often be purchased separately. 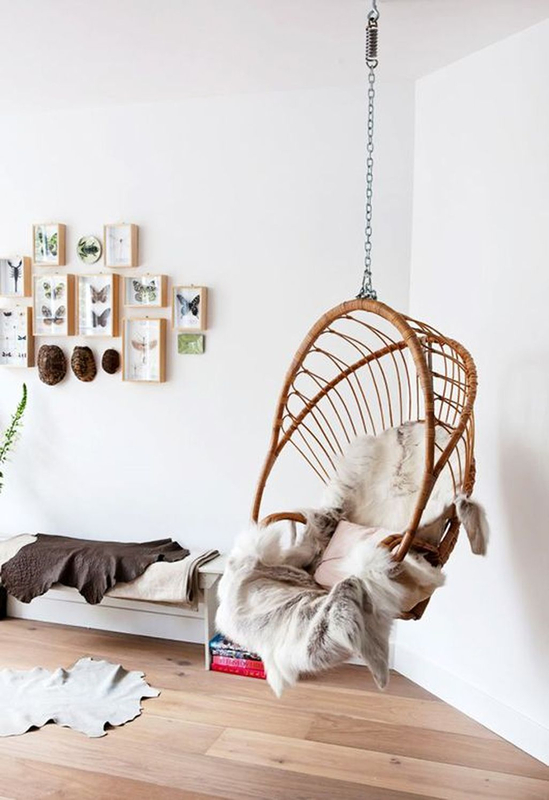 There are really are some very fun and unusual hanging swings. I just wanted to end the show here with one. 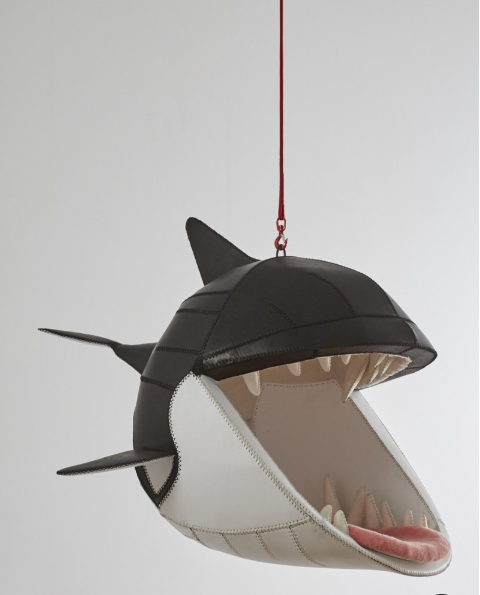 But this one makes we want to pull out my DVD and watch JAWS for the umpteenth time! 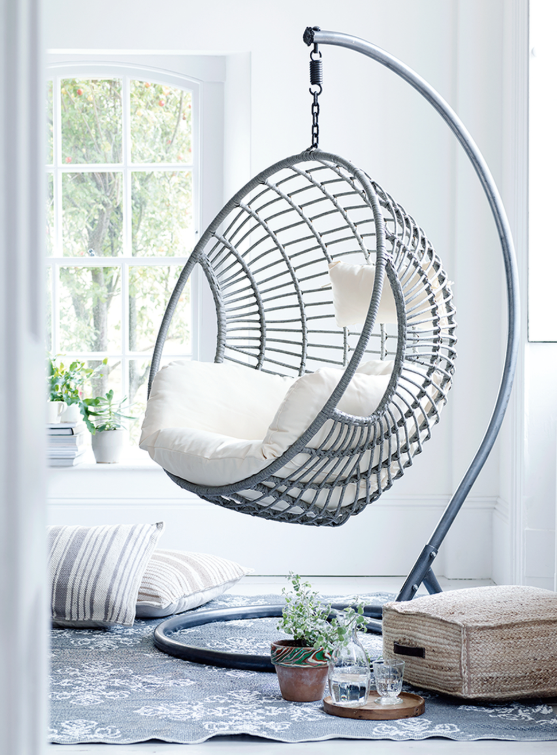 Would you put a pod swing in your decor? 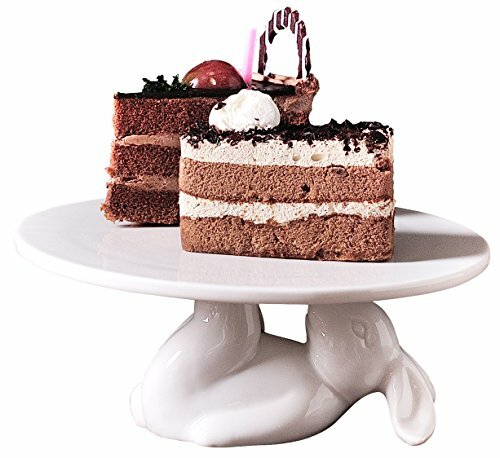 Or do you already have that very special furniture piece that is unusual and fun?